This is a guest post by Dr Justin Parkhurst, responding to a review of our books by Dr Joshua Newman, and my reply to that review. I really like that Joshua Newman has done this synthesis of 3 recent books covering aspects of evidence use in policy. Too many book reviews these days just describe the content, so some critical comments are welcome, as is the comparative perspective. 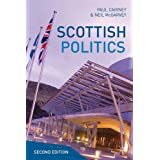 I’m also honoured that my book was included in the shortlist (it is available here, free as an ebook: bit.ly/2gGSn0n for interested readers) and I’d like to follow on from Paul to add some discussion points to the debate here – with replies to both Joshua and Paul (hoping first names are acceptable). Have we heard all this before? Firstly, I agree with Paul that saying ‘we’ve heard this all before’ risks speaking about a small community of active researchers who study these issues, and not the wider community. But I’d also add that what we’ve heard before is a starting point to many of these books, not where they end up. Thus, I do think there is still a need to cement the foundations of the field more strongly – in essence, to establish a disciplinary baseline that people weighing in on a subject should be expected to know about before providing additional opinions. One way to help do this is for scholars to continue to lay out the basic starting points in our books – typically in the first chapter or two. Of course, other specialist fields and disciplines have managed to establish their expertise to a point that individuals with opinions on a subject typically have some awareness that there is a field of study out there which they don’t necessarily know about. This is most obvious in the natural sciences (and perhaps in economics). E.g. most people (current presidents of some large North American countries aside?) are aware that don’t know a lot about engineering, medicine, or quantum physics – so they won’t offer speculative or instinctive opinions about why airplanes stay in the air, how to do bypass surgery, or what was wrong with the ‘Ant-Man’ film. Or when individuals do offer views, they are typically expected to know the basics of the subject. For the topic of evidence and policy, I often point people to Huw Davies, Isabel Walter, and Sandra Nutley’s book Using Evidence, which is a great introduction to much of this field, as well as Carol Weiss’ insights from the late 70s on the many meanings of research utilisation. I also routinely point people to read The Honest Broker by Roger Pielke Jr. (which I, myself, failed to read before writing my book and, as such, end up repeating many of his points – I’ve apologised to him personally). So yes, I think there is space for work like ours to continue to establish a baseline, even if some of us know this, because the expertise of the field is not yet widely recognised or established. Yet I think is it not accurate for Joshua to argue we end up repeating what is known, considering our books diverge in key ways after laying out some of the core foundations. More interesting for this discussion, then, is to reflect on what our various books try to do beyond simply laying out the basics of what we know about evidence use and policy. It is here where I would disagree with Joshua’s point claiming we don’t give a clear picture about the ‘problem’ that ‘evidence-based policy’ (his term – one I reject) is meant to address. Speaking only for my own book, I lay out the problem of bias in evidence use as the key motivation driving both advocates of greater evidence use as well as policy scholars critical of (oversimplified) knowledge translation efforts. But I distinguish between two forms of bias: technical bias – whereby evidence is used in ways that do not adhere to scientific best practice and thus produce sub-optimal social outcomes; and issue bias – whereby pieces of evidence, or mechanisms of evidence use, can obscure the important political choices in decision making, skewing policy choices towards those things that have been measured, or are conducive to measurement. Both of these forms of bias are violations of widely held social values – values of scientific fidelity on the one hand, and of democratic representation on the other. As such, for me, these are the problems that I try to consider in my book, exploring the political and cognitive origins of both, in order to inform thinking on how to address them. That said, I think Joshua is right in some of the distinctions he makes between our works in how we try to take this field forward, or move beyond current challenges in differing ways. Paul takes the position that researchers need to do something, and one thing they can do is better understand politics and policy making. 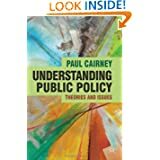 I think Paul’s writings about policy studies for students is superb (see his book and blog posts about policy concepts). But in terms of applying these insights to evidence use, this is where we most often diverge. I feel that keeping the focus on researchers puts too much emphasis on achieving ‘uptake’ of researcher’s own findings. In my view, I would point to three potential (overlapping) problems with this. Third – I believe these calls rest on often unstated assumptions about the answer to the second point which we may wish to challenge. In terms of the first point: I’m more of an institutionalist (as Joshua points out). My view is that the problems around non-use or misuse of evidence can be seen as resulting from a failure to establish appropriate systems that govern the use of evidence in policy processes. As such, the solution would have to lie with institutional development and changes (my final chapter advocates for this) that establish systems which serve to achieve the good governance of evidence. Paul’s response to Joshua says that researchers are demanding action, so he speaks to them. He wants researchers to develop “useful knowledge of the policy process in which they might want to engage” (as he says above). Yet while some researchers may wish to engage with policy processes, I think it needs to be clear that doing so is inherently a political act – and can take on a role of issue advocacy by promoting those things you researched or measured over other possible policy considerations (points made well by Roger Pielke Jr. in The Honest Broker). The alternative I point towards is to consider what good systems of evidence use would look like. This is the difference between arguing for more uptake of research, vs. arguing for systems through which all policy relevant evidence can be seen and considered in appropriate ways – regardless of the political savvy, networking, or activism of any given researcher (in my book I have chapters reflecting on what appropriate evidence for policy might be, and what a good process for its use might be, based on particular widely shared values). 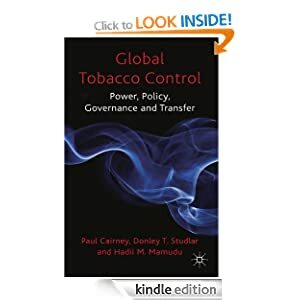 In terms of the second and third points – my book might be the most explicit in its discussion of the normative values guiding efforts to improve evidence, and I am more critical than some about the assumption that getting researchers work ‘used’ by policymakers is a de-facto good thing. This is why I disagree with Joshua’s conclusion that my work frames the problem as ‘bridging the gap’. Rather I’d say I frame the problem as asking the question of ‘what does a better system of evidence use look like from a political perspective?’ My ‘good governance of evidence’ discussion presents an explicitly normative framework based the two sets of values mentioned above – those around democratic accountability and around fidelity to scientific good practice – both of which have been raised as important in discussions about evidence use in political processes. Is the onus on researchers? Finally, I also would argue against Joshua’s conclusion that my work places the burden of resolving the problems on researchers. Paul argues above that he does this but with good reason. I try not to do this. This is again because my book is not making an argument for more evidence to be ‘used’ per se. (and I don’t expect policy makers to just want to use it either). Rather I focus on identifying principles by which we can judge systems of evidence use, calling for guided incremental changes within national systems. While I think academics can play an important role in establishing ‘best practice’ ideas, I explicitly argue that the mandate to establish, build, or incrementally change evidence advisory systems lies with the representatives of the people. Indeed, I include ‘stewardship’ as a core principle of my good governance of evidence framework to show that it should be those individuals who are accountable to the public that build these systems in different countries. Thus, the burden lies not with academics, but rather with our representatives – and, indirectly with all of us through the demands we make on them – to improve systems of evidence use.